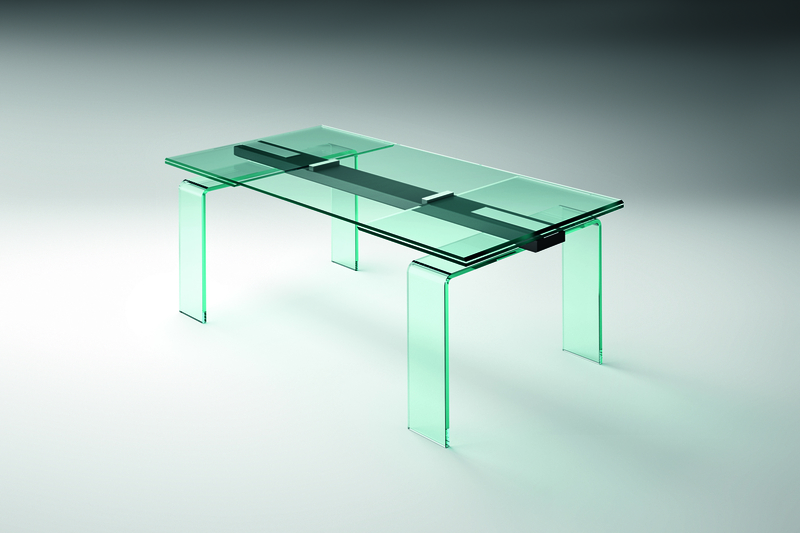 Gauss is an extensible dining table, with detachable legs in 19 mm curved transparent glass. 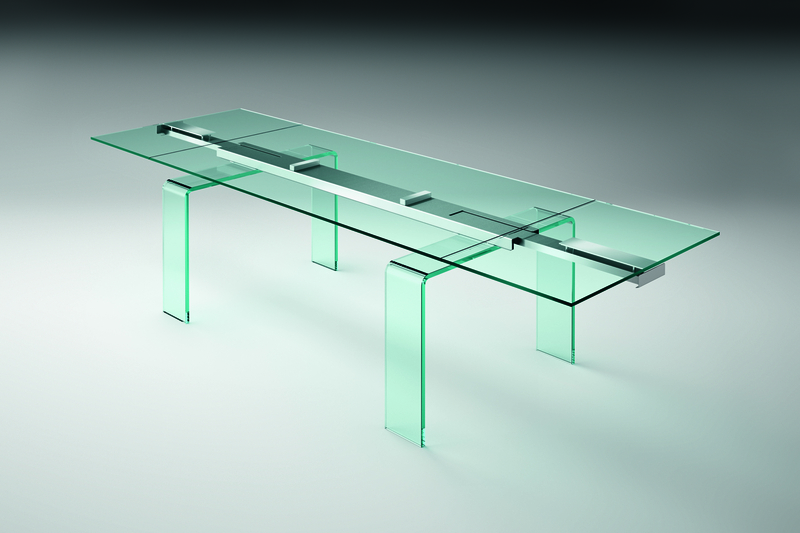 The generous top and extensions are designed in 12 mm transparent glass, while the innovative extension system comprises a central aluminium bar in matt black and satined chrome finishes. Metal fittings in stainless steel.